Ear disorders are pathological changes of your acoustic perception. They are caused by damage in the ear or brain and include, e.g., deafness, acute hearing loss or tinnitus. Human beings depend more on vision than hearing when communicating with each other. If disorders of the ear make hearing difficult, social isolation may impend. Difficulty in hearing can be caused by the ear itself (disorder of the middle or inner ear) or tinnitus. Tinnitus can also lead to psychosomatic symptoms like general irritability, sleep disorders, difficulty in concentration, etc. When talking about ear disorders, we differentiate between disorders of sound transmission and the sensory system. The ear drum and the auditory ossicles transmit sounds. The auditory sensory system includes cochlea, cochlear nerve and the auditory cortex of the brain. 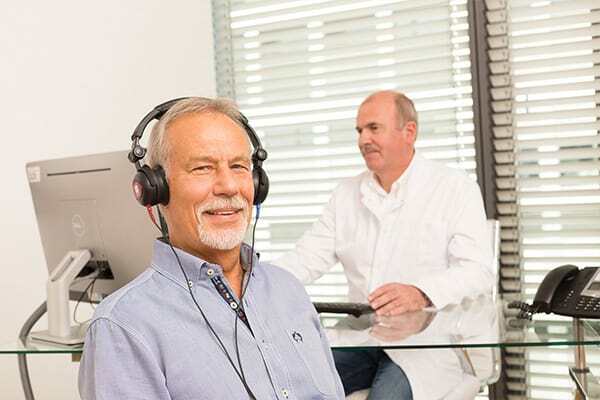 Our sound transmission system can be damaged by acute or chronic inflammations or trauma (e.g., rupture of the ear drum by sound or mechanical impact) leading to partial or complete hearing loss. Bacterial or viral infections, medication and circulatory disorders can affect our sensory system (e.g., cochlea). There are of cause also congenital/hereditary partial or complete loss of hearing. If suffering from ear disorders, ear microscopic examination and the following hearing tests are important diagnostic measures: measurement of the threshold of hearing (pure tone audiometry), test of the cochlea (otoacoustic emissions: objective hearing tests based on electrophysiology), test of the acuity of hearing (speech audiometry), test of the air pressure of the middle ear (tympanometry) and measurement of auditory evoked potentials (AEP) in the brain (auditory brainstem response/ABR). Those measurements make a qualified evaluation of hearing abilities possible that is crucial for therapy. Since peripheral causes may also affect hearing (e.g., changes in cervical spine/neck or heart or circulatory problems), interdisciplinary diagnostics is necessary. 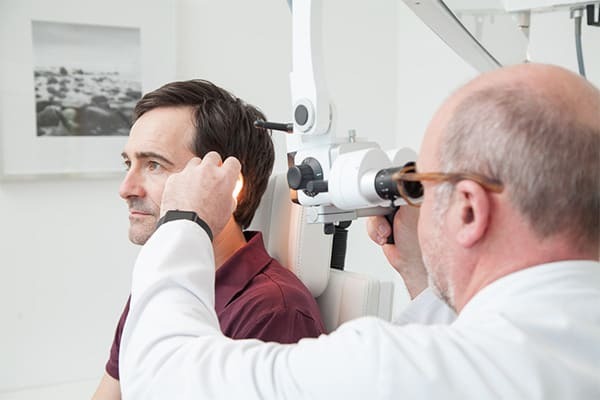 Because we distinguish disorders of sound transmission (ear drum, auditory ossicles) and the sensory system (cochlea, cochlear nerve and the auditory cortex of the brain) in terms of ear disorders, there are different treatment options. Microsurgery on the middle ear can close ruptured ear drums and reconstruct damaged auditory ossicles. Chronic hearing loss caused by changes of the cochlea can be taken care of with either removable or bone anchored hearing aids (surgery) subject to its severity. Acute ear disorders, e.g., sudden deafness and tinnitus, necessitate differential diagnostics in order to rule out peripheral causes (e.g., changes of cervical spine/neck, circulatory disorders, disorders of the cardiovascular system) and to find a sufficient and aimed treatment option.